It was the Golden Age of Aviation and aircraft were all the rage and new aircraft companies were formed to meet the demand. The Travel Air Manufacturing Company was one of these companies and was established in 1925 by Walter Beech, Clyde Cessna and Lloyd Stearman each of which who would go on to become icons in the aviation community. The company began manufacturing biplane trainers and sport aircraft. The first production model, the 1000 series was conventional biplane, with staggered wings braced with N-struts, a fabric covered steel tube fuselage with tandem seating and provisions for two passengers in the front seat. The 1000 series was powered by the Curtis OX-5 liquid cooled v-8 engine. The 1000-4000 series aircraft are similar in design and differ mainly by the type of engine installed. The 2000 series was powered by a Curtis C-6, liquid cooled inline 6-cylinder engine and the 3000 series also by a liquid cooled V-8 engine, built by Hispano-Suiza. The 4000 series was the first in the series to be powered by radial engines and was available in horsepower ranging from 100 to 300 hp depending on the engine installed. The Travel Air Company enjoyed tremendous success, but in 1929, in the face of the Great Depression, orders for new aircraft plummeted. 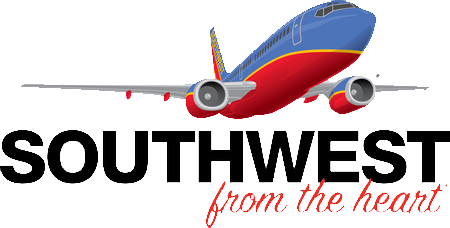 The Travel Air Company now unable to pay its bills was acquired by the Curtis Wright Company. In its short five-year history, Travel Air produced 1,300 to as many as 1,800 aircraft; the exact number is not known since no official company production records are known to exist. Travel Air and earned a reputation for building dependable, well designed aircraft. 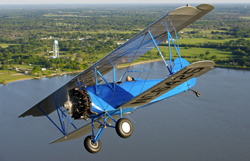 Click here for information on how you can take a ride in this historic biplane.